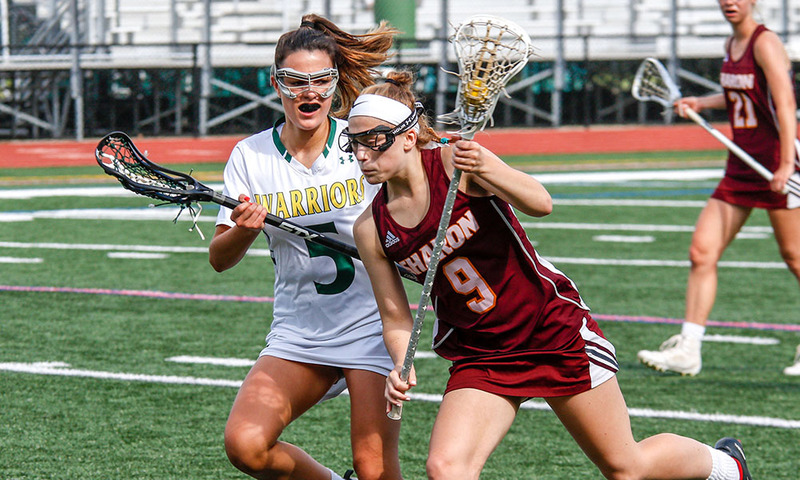 Sharon, 3 @ Canton, 2 – Final – Sharon saw a lead disappear in the first half, but didn’t let it happen in the second. After going up 1-0 on a goal from Michael Baur (assisted by Brian Higgins) but Canton leveled before the break behind a goal from Paul Corcoran. Sharon took the lead again when Antonio El-Khoury finished off a cross from Baur. The Eagles added a key insurance goal on an unassisted goal from Higgins. Canton’s Avery Minkin scored to make it 3-2. Sharon, 1 @ Canton, 6 – Final – Click here for a Photo Gallery from this game. 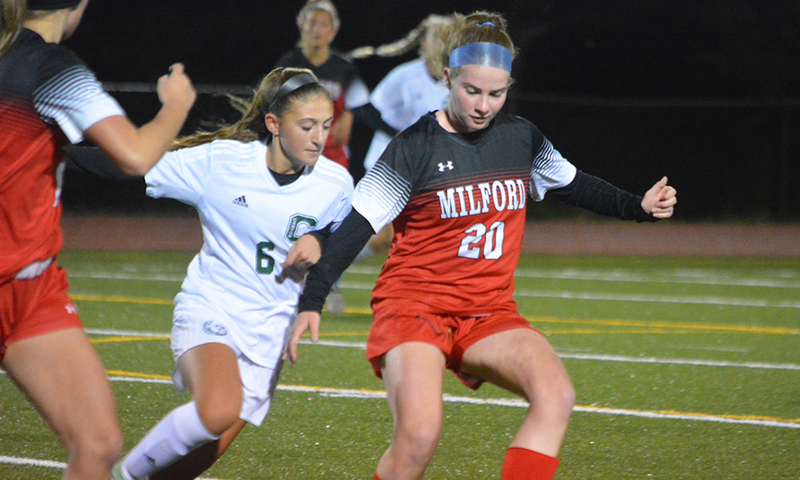 Morgan McCabe and Elisa Diletizia each scored twice for the Bulldogs, who scored the first three and the last three goals of the game to get the win. Sarah Collins had a goal and assist and Anne Hoban scored once in the win. Marika Fillion scored off a Bridget McManus free kick early in the second half for the Eagles. 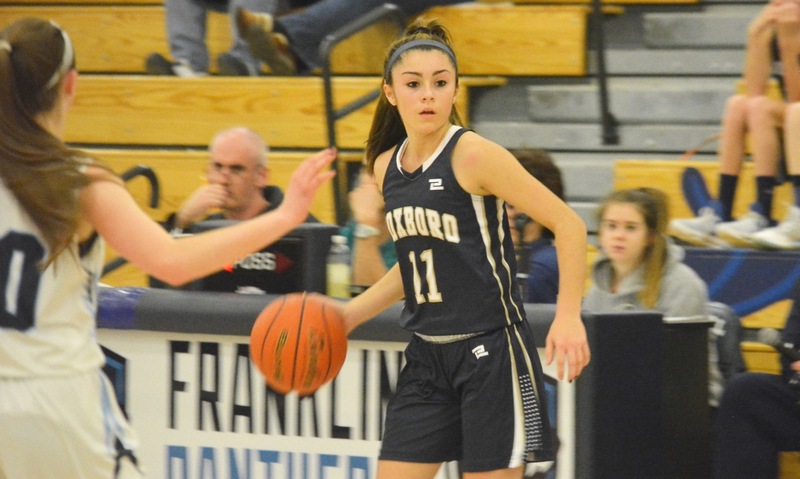 Foxboro, 2 vs. Martha’s Vineyard, 0 – Final – Jamie Notarangelo and Molly Murphy (assisted by Lily Daly) scored in the second half to give Foxboro the non-league win at Forekicks and extend the Warriors unbeaten streak to nine games. Canton, 3 @ Notre Dame Academy, 2 – Final – Despite falling behind 2-1, Canton picked up two straight wins to earn a 3-2 (19-25, 25-15, 20-25, 25-11, 15-8) decision on the road at Notre Dame Academy. “The entire team stayed strong throughout,” said Canton head coach Pat Cawley. Taylor Harris has a great night with 22 kills, 18 digs, a block and two aces, and Erin Devine added seven kills and eight blocks. Theresa O’Brien chipped in on both sides of the ball with nine kills and 18 digs while Nicole Brown finished with 36 assists, six kills, and 27 digs. Cawley said Megan McDonough and Julia Minichiello were awesome on defense, combining for 37 digs and seven aces. Hockomock League Championships – Click here for results and a photo gallery of this event. Below are the official 2018 Hockomock League Girls Lacrosse All Stars, selected by the coaches in the league.